9/3/18: It's been just over two months since Maya, a 21-year-old therapy horse, retired to God’s Window Senior Horse Rehab, where I work to restore the health and vitality of horses who would otherwise be put down. Maya came to me suffering from urinary incontinence, so health-wise, this summer has been touch-and-go: one week she had an allergic reaction, another week, a bloody discharge, followed by an infection. While western veterinary medicine has no cure for Maya's condition, I work with a holistic vet who has seen results from alternative therapies, including chiropractic care, which has helped clear the urine collected in Maya’s uterus. The vet also ran blood work and discovered that Maya has significant kidney damage. Despite this, I believe we have turned a corner and I am committed to doing what I can for Maya and others like her. 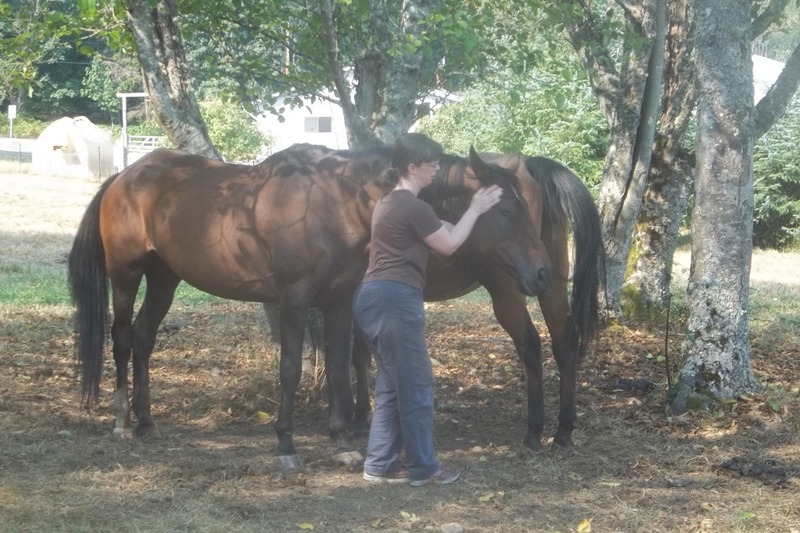 Here is Maya with her new best friend, 35 year-old Chaco, the first senior horse I rehabbed 10 years ago. (Maya is the horse behind). Maya has a fire in her, and she has made it clear to me–on more than one occasion–that she only needs a little help and will do the rest herself. She loves people, and after many years of working as a therapy horse helping at-risk kids make healthy choices in their lives, it is our turn to help Maya in her time of need. For me, this has been an intense summer: between working full-time and caring for Maya. I’ve had little time for much else besides eating and sleeping, but now I can provide this update and ask for support. 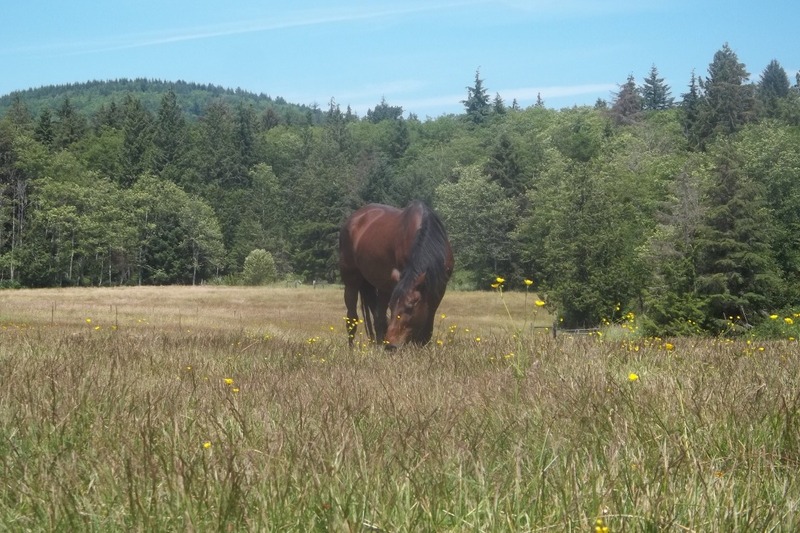 I am in the process of forming a non-profit to help more senior horses like Maya. Would you consider making a donation to help support Maya? A donation in any amount would be greatly appreciated. No donation is too small. 6. 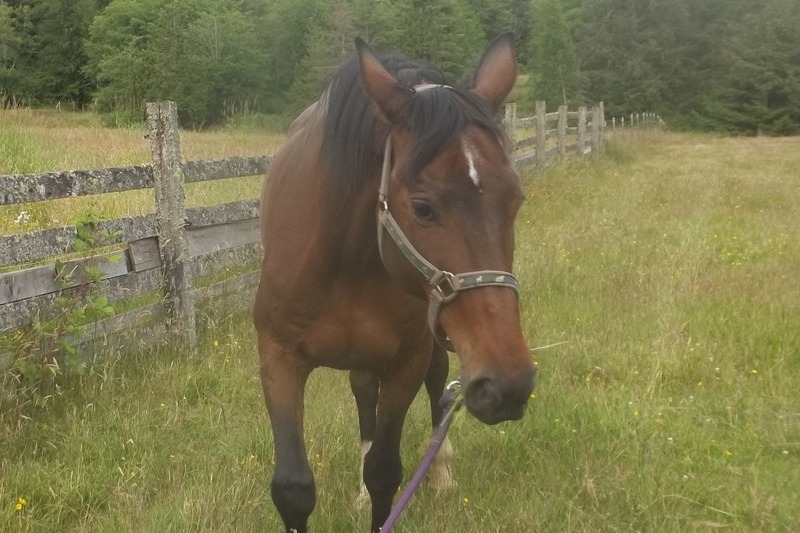 $60 will cover the cost of the business license to finish the set-up of the non-profit to help more senior horses like Maya. Help spread the word! Please share with your friends. On behalf of Maya, thank you for your support! To learn more about my work rehabbing senior horses, visit: www.SeniorHorseRehab.com. She spent time as a dressage/jumping horse before becoming a therapy horse for at-risk youth. She gave teenage girls in drug and alcohol recovery some wonderful life lessons, and she was always eager to interact with the kids. 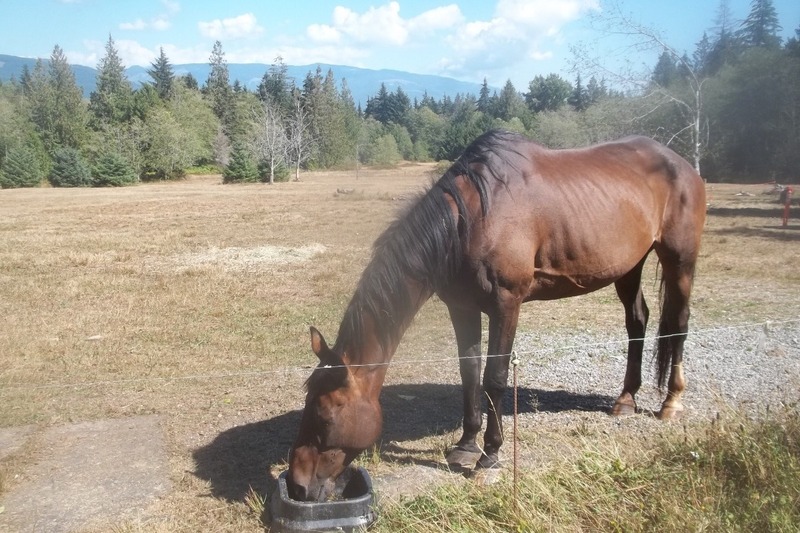 Unfortunately, the stability in her hind end deteriorated significantly to where she was no longer rideable, and she had urinary incontinence. With low grade kidney failure, and a suspected neurological disconnect going to the bladder, western veterinary medicine had no way to treat it. With the poor prognosis, euthanasia seemed a valid option. Since I knew of treatment options in alternative medicine that hadn’t been tried yet, I agreed to take her. Thank you everyone who donated to Maya's cause. It has made caring for her that much easier. Unfortunately, it is with great sadness that I share with you that Maya died at the end of September. This last infection went systemic over night, and there was no way to turn it around. Death was inevitable. I always knew this was a possibility, but I wasn't going to cross that bridge until it actually happened. At the end of September, it happened. Her pain was increasing, and even pain killers did little to help, so I made the decision to euthanize her. She was a fighter, and fought right to the end to stay in this world. Her body was giving out, but her spirit was so strong and not ready to leave. I even had treatment plans and ideas in the event that she could pull out of this one. We were both very willing to keep fighting, but her body couldn't do it. When the inevitable sunk in, I told her that there is only one place that is better than what you have right now, and that's back with God who created you. Maya, it's been an honor to care for you these past few months, and give you a retirement where you were free to come and go as you pleased. As challenging as it's been, I'd do it again in a second. I couldn't have asked for a more tenacious partner in the twists and turns of your rehab. Your will to live is an inspiration to me. Rest in peace, dear Maya. Maya's veterinary bills in her last month totaled approximately $1500. To close out her campaign I'm setting a new goal of $5 donations from 255 people to meet the goal of $1500. Please share this with 5 of your friends and invite them to share with five of their friends and consider donating $5 to help us meet the goal. Thank you again for your support! Thank you everyone who donated or shared my GoFundMe page with their friends. Every little bit helps, and I've raised $225 so far for Maya's rehab. Thank you! Here's Maya taking a nap and enjoying one of her massages.